Trend # 2: Shifting Doctrines on Salvation and Eternal Punishment — Okay, we’ve established that the author of The Shack is not a universalist, but increasingly, lots of others are. A trend that started almost a decade ago with some key theologians adopting an “annihilationist” position is also starting to snowball. One could ask, “Then why do we need a Savior?” A seismic shift is taking place in our “God-view,” and suddenly God is neither judgemental or wishing to exclude anyone. A kinder, gentler God. Trend # 3: Multi Media Mania — Now that every church has a projector, a graphics program, and a guy with a camera and a YouTube login, it seems you can’t have church without ‘screens.’ But does everybody really understand how to use each media best? Is participation waning as the congregation continues to become “audience?” The use of DVD curriculum and worship aids for home groups however, is something to celebrate. Trend # 4: Sexually Active Youth Groups — What takes place in the larger society eventually finds its way to church. (Disagree? Check out divorce rates for both groups.) As I’ve written elsewhere, we now are seeing the first generation of humans who have lost the ability to blush, one of only a few things which distinguishes us from animals. There is no sense of shame among today’s teenagers, and often no priority put on purity. The challenge in 2009 for youth pastors, youth leaders, youth sponsors and parents where this issue is concerned is massive. Trend # 5: Mission Trip Industry Grows — When a church like Northpoint in Atlanta proposes doing over a hundred trips in one year, you know that the mission trip has become a staple of church life. Costs are huge, while benefits are hotly debated on the internet. Can you accomplish long-term mission goals with short-term workers? Trend # 6: Economic Fallout — The people bringing a non-perishable food item for the food bank last year are now considering standing in line at the same food bank for a handout; as the mortgage crisis and job losses devastate communities. Trend # 8: Church Closings and Mergers — I am renewing this prediction from last year. It’s the only way for survival. Older congregations simply must pass the torch to the next generation a la Paul and Timothy. Smaller congregations simply must consider joining forces with others. Trend # 9: Fragile Leadership — They don’t make ’em like they used to. Local churches, the district offices of denominations, parachurch orginzations; they all have one thing in common: They lack the bold, confident, maverick, visionary leaders of yesteryear. Nobody wants to be the person where the buck stops. But someone has to, or certain Christian organizations and churches will flounder. Trend #10: Conflicting Spokesman — Who will be the next Billy Graham? It probably won’t happen that the future will see the focus on a single individual who speaks for all Christians or all Protestants or all Evangelicals. Since many key spokespeople disagree on secondary and tertiary issues, it will sometimes appear to that there is a lack of concensus. Trend # 11: The Blog Barometer — The blogosphere will be the source for more traditional Christian media. What you read online is now the origin of various Christian magazine articles (though the print editions of the magazines themselves are dinosuaring.) 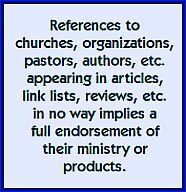 The bloggers you enjoy most are also being watched by Christian publishers as potential writers. 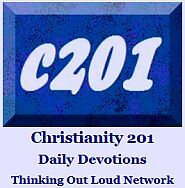 Today’s blog posts are generally tomorrow’s Christian news headlines. 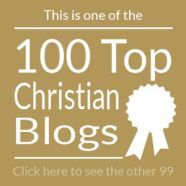 Today’s bloggers are tomorrow’s mainstream Christian authors. Trend # 12: Re[tro]volution in Kid’s Ministries — You’ve heard the saying, “A generation that does not impart its sacred texts to its children is one generation away from extinction.” People are seeing this truth playing out in some communities and recognizing the need for some fine tuning. Keep the media. Keep the interactives. Keep the cool music. But we’ve got to bring back the memory verse, the memory chapter, and the memory Psalm. Trend # 13: Book Study Sunday Series — We’ve seen small groups do book studies for several decades; now the book study is starting to come to church on Sunday mornings. An entire congregation buys and/or hears sermons based on a recent Christian title; which is a win/win situation both for Christian publishers and pastors who wish their people would get passionate about a Christian book now and then. Trend # 15: Tentmaking — With more people getting their feet wet in ministry on mission trips (#5) and more social service needs that churches are being challenged to meet (#6) and less available money to pay staff (#6), it is incumbent on paid church staff to see their work as more half-time or part-time and supplement their ministry with income from other sources.